Every manufacturer that makes a product has a legal duty to give you due care in their production, labeling, installation, inspection, and design processes. When they breach that duty, law may entitle you to recover money for the harm you experience. General motors made faulty ignition switches that led to 13 deaths and 31 car accidents. Phillip Morris didn’t tell consumers that tobacco could be addictive and cause lung cancer. Dow Chemical and Corning produced silicone breast implants that ruptured and caused death. Owens Corning paid $1.2 billion to settle asbestos lawsuits that claimed it knew of the dangers of asbestos since 1938. Many product manufacturers engage in careless and sometimes intentional behavior to make a profit. That can cause serious health conditions, and even death, for consumers like you. What do you do when you’re harmed because of a big, powerful company’s careless, reckless, or intentional behavior? There’s many product liability lawyers to choose from in St. Louis. Who should you go with? At Mullen & Mullen, unlike most firms we don’t employ a single paralegal. That means only experienced lawyers do all the work on your case. That’s right: the attorney personally oversees, manages, and develops your case from beginning to end. Many other firms have case supervisors or paralegals do the real legwork on cases. When you call us, you’ll talk to your lawyer when you need to talk to your lawyer. In fact, you’ll likely have your attorney’s cell phone number. Any missed calls are returned promptly within 24 hours. Shane Mullen* has been been named a “Super Lawyers Rising Star” from 2014-2016 and is a member of Rue Ratings Best Attorneys of America. His father, Regis Mullen*, previously worked at a major insurance company and has trained firm attorneys on the tactics they utilize. Joseph Morrison* previously managed a boutique litigation practice and has filed hundreds of lawsuits on behalf of injured victims. So you’re in good hands, whether you’re taking on a smaller company, or a global conglomerate. When you take months to file your claim, judges and juries don’t think you’re acting honestly. They think credible product liability victims act fast. So it’s important to talk to a product liability attorney in St. Louis as soon as possible. 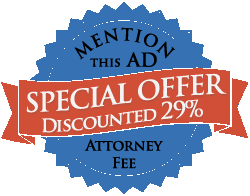 Contact Mullen & Mullen today at 314-465-8733 (314-INJURED) for your free consultation. We treat you like family, and want to have a conversation to see how, or if, we can help. There’s absolutely zero pressure on you to hire us on the spot. You’ll learn all your legal options, our confidence in each, and you can choose which route to go. And you only pay your case fee when we win.